This year’s eagerly awaited Christmas Celebration Concert will take place on Saturday the 18th of December in St James’ Church, High Street, Whitehaven commencing at 7:30pm. Proceeds from the concert will be donated to the Great North Air Ambulance. This year the Choir has not one, but three special guest soloists; Maria Morton, Pauline Southward and Karen Wilson. 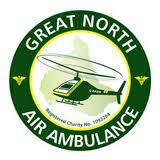 The nominated charity for 2010 is The Great North Air Ambulance. Visit: greatnorthairambulance.co.uk for more information. 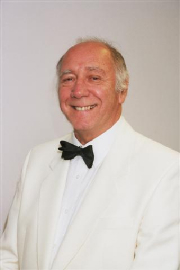 It is with deep sadness that the Choir wishes to announce the passing of its recently retired Musical Director, Mr Hugh Robinson. Hugh had been suffering from ill health for quite some time. The Choir members wish to extend their sympathies to his widow Mary, daughters Diane and Louise and the rest of the family. 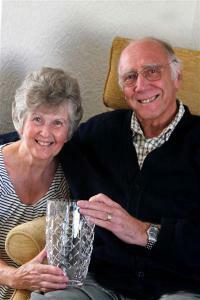 The Choir recently presented Hugh Robinson with an inscribed cut glass goblet, following his retirement as Musical Director. The gift was in recognition of his outstanding service to the Choir. The Choir are pleased to announce the appointment of a new Musical Director, Mrs Aileen Rule. Aileen was invited to undertake the role of assistant accompanist for Whitehaven Male Voice Choir in 2004 and the role of deputy musical director in October 2009. Aileen was promoted to the role of Musical Director in June 2010, following the resignation of Hugh Robinson. Saturday June 19th 2010 was a jewel of a day in more ways than one. The day was warm and balmy and Whitehaven had basked in wall-to-wall sunshine. The evening weather continued in much the same vein, but inside the Civic Hall, in the presence of the Mayor and Mayoress of Copeland, Councillor Mike and Mrs Joyce McVeigh, Whitehaven Male Voice Choir and guest treated their audience to a concert of excellent music and voice. Barry Burns, compere for the evening gave an initial welcome speech and made it known that the concert was being dedicated in memory of those lost in recent tragic events in west Cumbria. Including the November floods, the Keswick bus crash and the Cumbria shootings. The Mayor followed with a short speech on the recent tragic events, and there followed a minutes silence in memory of those who had passed away. The choir’s guest this year was a young Welsh soprano with a strong musical pedigree. Rhian Lewis treated the audience to such favourites as Puccini’s ‘O Mio Babbino Caro’ (O, My Beloved Father) from Gianni Schicchi, and Hubert Parry’s ‘Crabbed Age and Youth’ with lighter renditions of ‘I Could Have Danced all Night’ from My Fair Lady and Novello’s ‘Waltz of My Heart’ and well known piece ‘A Nightingale Sang in Berkeley Square.’ She dazzled with her easy presentation, warm personality and superb vocal range; we could have listened to much more of her. The choir were in good voice having had a difficult year. Following the resignation of their long-standing Musical Director Hugh Robinson (due to ill health) but it was a tribute to their professionalism that the concert went off so well. Aileen Rule stepped up to the mark as Musical Director, and did a wonderful job of keeping the men on task. 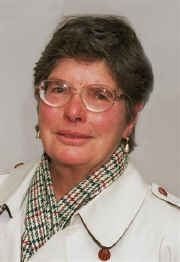 Mention should also be made of the Choir accompanist Joan Johnston who has long supported the choir at the piano and long may she continue to do so. Rhian Lewis was accompanied by Helen Bushby, a local pianist who incidentally was the Choir’s first accompanist following its formation in 1977. Playing for the guest soloist is no mean feat since they most often only meet for a practice on the afternoon of the performance. We are lucky in Whitehaven to have such a profusion of talent. The Choir wishes to announce the resignation of its Musical Director Mr Hugh Robinson. Hugh has been suffering from ill health for quite some time, and feels he is not able to return to the Choir. The Choir wishes to thank Hugh for his hard work, professionalism and dedication during his fourteen years as Musical Director. They would like to wish him well for the future. The Choir will continue to be led by Mrs Aileen Rule (deputy Musical Director) as it has been since January 2010. 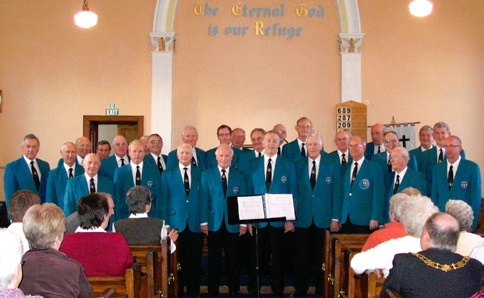 On Friday 16th April 2010 Whitehaven Male Voice Choir gave a concert in Trinity Methodist Church Silloth to a packed house. This was their third visit which highlights how much they were appreciated. Following his half hour organ recital with themes from the shows and Strauss waltzes, Derek Shaw introduced the Choir. They gave a fantastic rendition of true professionalism, singing at its best with tight harmony. The Choir was led by Aileen Rule as assistant Musical Director and very ably accompanied by Joan Johnston at the piano. The programme was varied and well planned and fit the occasion of the venue with renditions; Bring Him Home, The Lost Chord, Hand Me Down, What Would I Do Without My Music, You Raised Me Up, and many more outstanding songs finishing the evening with Amen and an encore of Morte Criste. Interspersed throughout the programme was female soloist Pauline Southward who was absolutely excellent singing We’ll Gather Lilacs, Vilia, Nuns Chorus and many more well chosen songs finishing off with Bless This House. Everyone applauded with gusto each song with total enjoyment and admiration throughout the concert. The Rev Kim Hurst (Superintendant Minister), presented the Soloist with a bouquet of flowers and gave a vote of thanks for the excellent evening. The Choir retired to the schoolroom where a delicious supper was waiting in true Methodist fashion, prepared and served by the ladies of the Church. The Choir commented that they always enjoy coming to Trinity Methodist Silloth because of the warm welcome and atmosphere, a full house, great acoustics and of course being well fed. Sincere thanks to all who attended to help make the event a total success. Proceeds of the evening were in aid of Church funds. Whitehaven Male Voice Choir are delighted to announce that this year’s Annual Concert guest artist will be the exciting young soprano Rhian Lewis.Welsh born Rhian Lewis graduated from the Royal Welsh College of Music and Drama and the Royal Academy of Music with distinction where she studied with Beatrice Unsworth, Audrey Hyland, Catherine Roe-Williams and Clara Taylor. Rhian is currently studying with Lillian Watson. She has won many awards, including the Bryn Terfel Scholarship, the MOCSA Young Welsh Singer of the Year, the Osborne Roberts Scholarship, the John Fussel Memorial Prize, MBF Music Education Award, the Ryan Davies Memorial Award, Pantyfedwen Scholarship and the Thomas and Elizabeth Williams Scholarship. Rhian is also a Live Music Now artist. She has travelled widely as a guest soloist to Spain, America, Italy and Ireland with concert performances at the Wales Millennium Centre, St David’s Hall and the Brangwyn Hall. Rhian was also invited by the Walton Festival to perform Walton’s solo soprano works in Ischia, Italy. A former member of the Glyndebourne Festival Opera Chorus, her operatic engagements to date include Jano in Jenůfa by Janáček (Glyndebourne Touring Opera), Karolka in Jenůfa by Janáček (Cover for Glyndebourne Touring Opera), Nanetta in Falstaff by Giuseppe Verdi (cover and performance for Glyndebourne Festival Opera), Dew Fairy in Hänsel und Gretel by Humperdinck (opening night performance and cover with Glyndebourne Touring Opera), Emmie in Albet Herring by Britten (cover with Glyndebourne Festival Opera), Pamina in The Magic Flute by Mozart (Swansea City Opera), Lidocka in Paradise Moscow by Shostakovich (RWCMD), the Young Vixen in The Cunning Little Vixen by Janáček (RWCMD), Beattie in The Ten Belles by Von Suppe (RWCMD) and Zerlina in Don Giovanni by Mozart (cover for British Youth Opera). RWCMD excerpts include Gretel in Hänsel und Gretel by Humperdinck and Elsie in The Yeoman of the Guard by Gilbert and Sullivan. Royal Academy excerpts include, Ophélie in Hamlet by Thomas, Erisbe in L’Ormindo by Cavalli, Giulietta in I Capuleti e i Montecchi by Bellini (RAM excerpts, Italy), the Governess in The Turn of the Screw by Britten and Anežka in Smetana’s Two Widows. Her Oratorio work includes Mozart Requiem and Mass in C Minor, Schubert Mass in C Major, Faure Requiem, Rutter Gloria, Handel Messiah, Handel Dixit Dominus, Vivaldi Gloria (St David’s Hall), Haydn Creation Mass and In Praise of Mary by Geoffrey Bush. Rhian has taken part in Master classes with Dennis O’Neill, Stuart Burrows, Larissa Gergieva, Thomas Quastoff, Roger Vignoles, Joan Rogers, Robert Tear, and Donald Maxwell. The concert will be directed by the choir’s current Musical Director Mrs Aileen Rule, with Mrs Joan Johnston accompanying the choir and Helen Bushby accompanying Rhian Lewis. Tickets priced at £7 and (£6 concessions) can be reserved by telephoning Choir Secretary Don Messenger on 01946 63452. THE mayor of Copeland has praised the “fantastic” performances at his charity fundraising concert. Whitehaven Male Voice Choir and The Gibside Singers, from the North East, treated more than 200 guests to a concert in the Civic Hall on Saturday. The concert raised £780 for Henry Wormstrup’s two nominated causes: Macmillan Cancer Support and The Calvert Trust. “It was a fantastic night and I’d like to thank everyone who supported it for their tremendous response,” said Coun Wormstrup. “The choirs sang beautifully and it made the hairs on the back of your neck stand up. The concert was sponsored by the Low-Level Waste Repository at Drigg. On Saturday 13th of March the Mayor of Copeland is hosting his Grand Charity Concert in aid of Macmillan Nurses and The Calvert Trust. The concert takes place in Whitehaven Civic Hall and features Whitehaven Male Voice Choir and The Gibside Singers. The choir have a busy concert schedule throughout the North East and enjoy choral exchanges, which have taken them to Yorkshire, Lancashire and Cumbria. The choir were privileged to sing for HRH Prince Charles when he visited Gibside Chapel, and to sing at ‘The Festival of Brass and Voices’ in The Royal Albert Hall in 2003, 2006 and 2009 in aid of Cancer Research UK. A memorable occasion was to sing with the ‘People’s Tenor’ Russell Watson, in Newcastle and Glasgow Arenas. Tickets priced at £7 and (£6 concessions) can be reserved by telephoning the Civic Hall box office on 01946 514960. 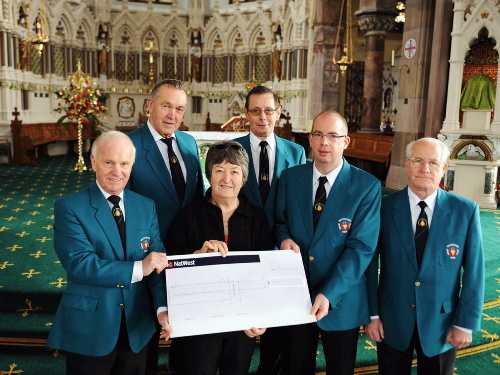 Whitehaven Male Voice Choir recently presented a cheque for £1100 to the North and West Cumbria branch of the Motor Neurone Disease Association. The charity was chosen as their 2009 nominated charity, in memory of the late Baxter Shaw, the choir’s founding Musical Director; who passed away in 2005 having suffered from the disease. This money was from the proceeds of their sell out annual Christmas Celebration Concert, held in St Begh’s Church and their Saturday morning Christmas sing in Whitehaven’s Tesco. This is just a small part of the money the choir raise every year for charities and other worthy causes throughout the country. 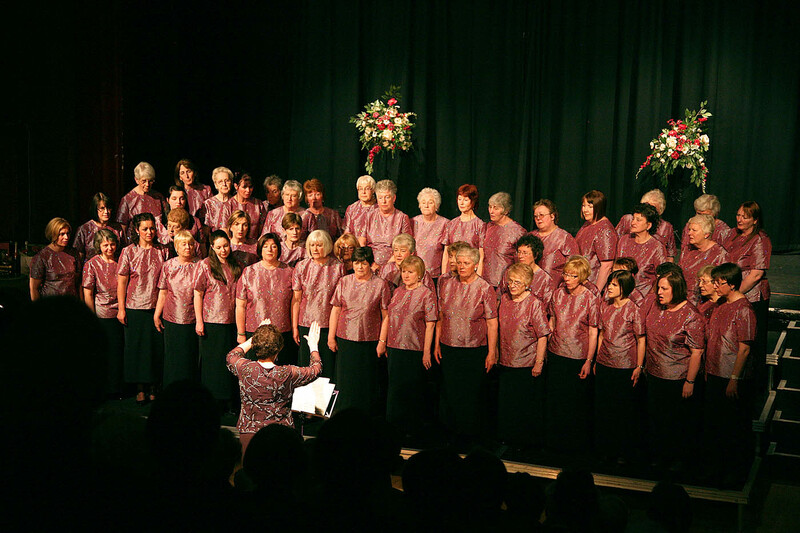 In 2009 they performed in twenty-five concerts and events raising over £8000 for charity. As well as taking part in the Cancer Research UK Festival of Brass and Voices held at The Royal Albert Hall, which raised £150,000. They are in high demand for charity concerts as they perform entirely free of charge, allowing all concert money raised to benefit the chosen charity. 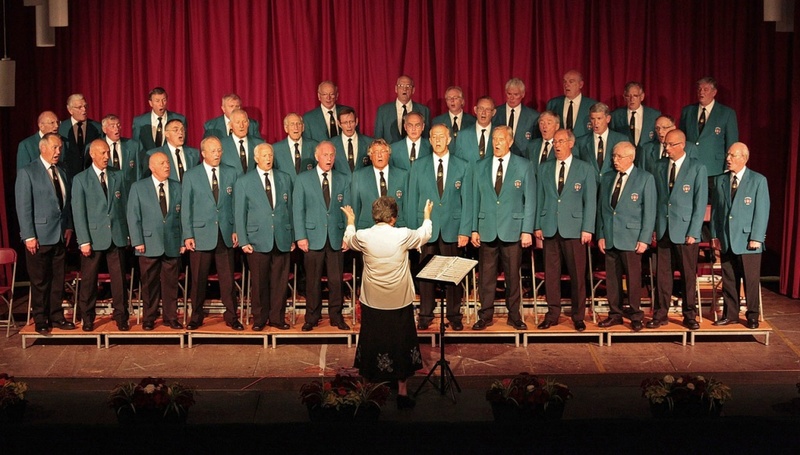 THE 2009 FESTIVAL of Brass and Voices, held at the Royal Albert Hall in October last year, in which Whitehaven Male Voice Choir participated, has raised a staggering £150,000 for Cancer Research UK. 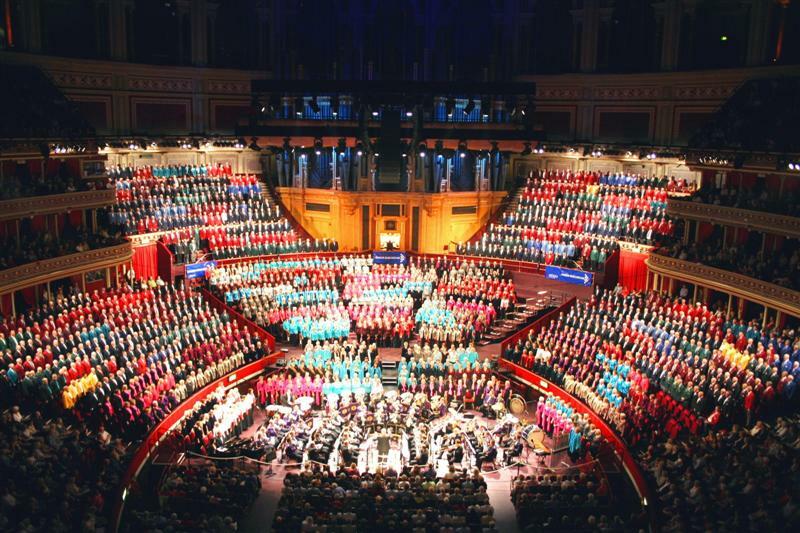 The event, which is held every three years, saw sixty-seven choirs from around the UK, made up of over fifteen hundred male and female choir members, perform to a packed house. They were accompanied by two prestigious and award winning brass bands, Grimethorpe Colliery and Brighouse and Rastrick. Pre-performance and interval music was provided by the Fochabers Fiddlers Frontline who created a truly festive atmosphere which was maintained by the choirs and bands throughout the evening’s entertainment, which included traditional and classical music, Handel’s Hallelujah Chorus, Rule Britannia and Land of Hope and Glory. This was the second time the Festival organisers chose to support Cancer Research UK and the money was raised through ticket, programme and merchandise sales. Cancer Research UK is the world’s leading independent organisation dedicated to cancer research. With an annual spend of £333 million, Cancer Research UK supports more than four thousand five hundred scientists, doctors and nurses in more than thirty-five towns and cities across the UK, all working to improve our understanding of cancer and find out how to prevent, diagnose and treat different kinds of cancer. Thanks to research, advances in earlier detection and improved treatments have seen overall deaths from cancer drop by more than 10% over the last decade. For further information contact: Rebecca Elphick on 0115 981 2523 or 07771 945 726. The Choir have now completed another highly successful year – 2009. They performed at twenty-five concerts and events raising over £8,000 for various local and national charities and other worthy causes. With several new members poised to join in the New Year, the choir can look forward to the prospect of many more years of song. In 2010 the choir have another busy concert diary. They are looking forward to the return of The Gibside Singers in March, when they will perform alongside the choir in The Mayor of Copeland’s Charity Concert. In June, Welsh soprano Rhian Lewis will be gracing the Civic Hall stage as the Annual Concert guest artist.